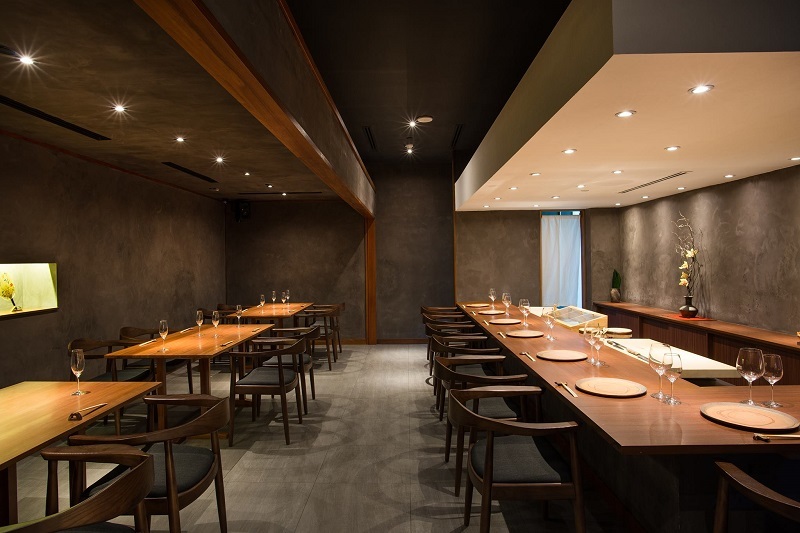 Refined flavours sit at the heart of the menu at this Japanese restaurant. There is more to dining than raising cutlery to lips and swallowing sustenance and satiation. Beyond the engagement of the senses, mood and state of mind are integral to the experience and little improves both like knowing you are enjoying the best possible arrangement. Sushi Hibiki strives to please. Anticipation is elicited even before the meal begins in the thrill of finding the venue. All I am going to say is that the fish leads the way at Atlas Gourmet Market on the lower ground floor of the Shoppes at Four Seasons Place, Kuala Lumpur. The calming palette of slate grey and wood forms a neutral canvas determined to not distract from the main event. Around the L-shaped counter are nine seats with three tables for four occupying the remainder of the space, illuminated by soft recessed lighting. At 6pm on a weekday, I am the first diner to arrive and have booked myself a solo seat at the counter. This booking was weeks in the making. Reservations are compulsory, including paying for your preferred course upfront, and the restaurant was until now fully booked on the days I was not. I had chosen the Rin set (RM480), a six-course menu climaxing in seven pieces of sushi. Complimentary with it is a welcome drink of saké or sparkling wine. I settle in with the latter and am quickly served a selection of canapés on a slate platter. 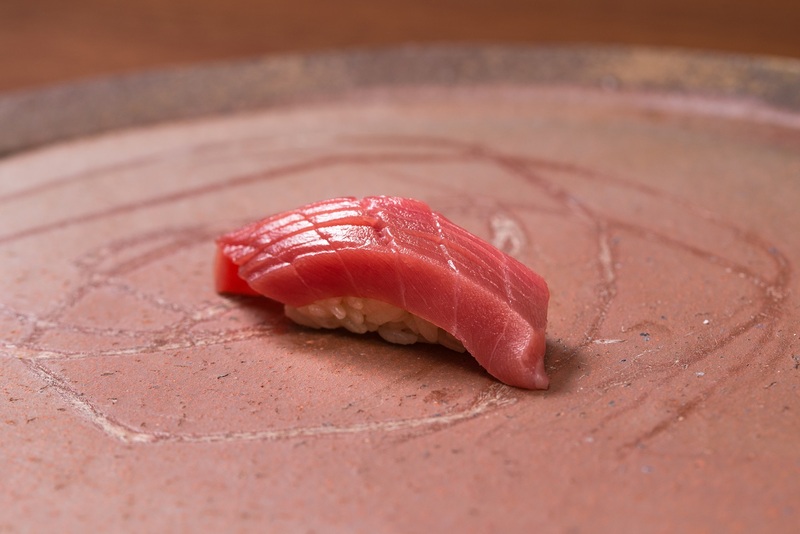 The tuna with plum sauce, eggplant and shima-aji (striped jack mackerel) wrapped in piquant seaweed stands out, plump, dark and fresh. I eat slowly, watching the action behind the counter. 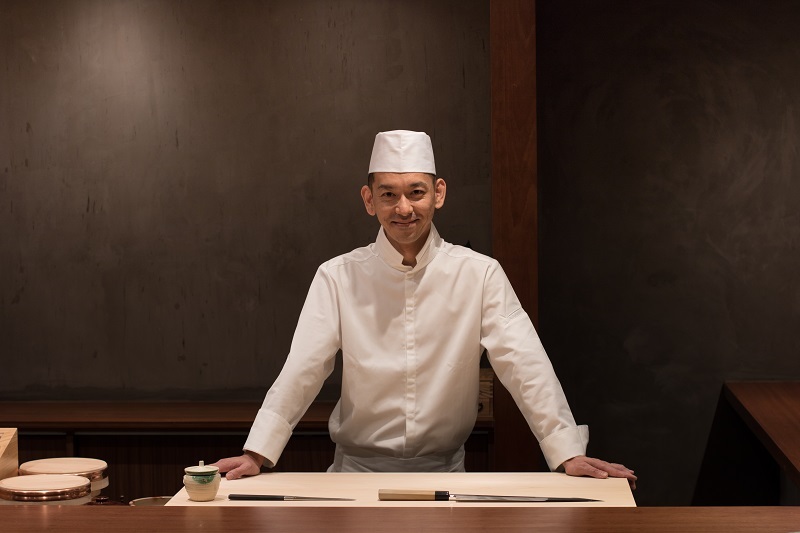 Japanese chef Makoto “Sam” Saito has two decades of skill-sharpening to his name and moves like a dancer. Each motion is deliberate, practised, effortless and graceful, whether he is gesturing to his assistant to stack the grill with glowing coal or slicing glistening slabs of fish deftly but respectfully. While I am admiring his knife handling, a teapot is set before me. 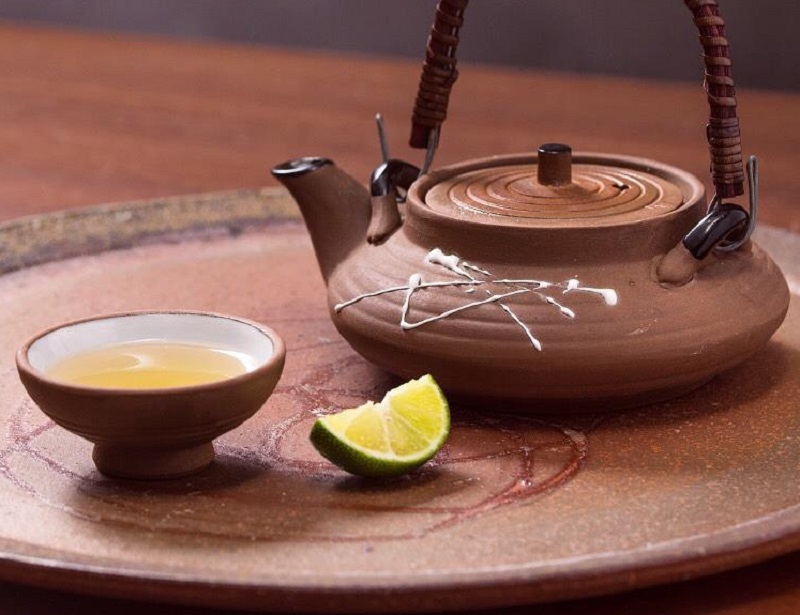 The dobin mushi, a traditional seafood broth steamed and served in a dobin teapot, is fragrant and light with an intoxicating depth of flavour provided by flounder and matsutake mushrooms, Japan’s most expensive fungi and its answer to black truffle. The citrus from a squeeze of lime uplifts the full-bodied brine and earthiness and it almost sparkles on the tongue. I drink the broth from the accompanying teacup and then open the pot to finish the slices of firm fish and mushroom. Sashimi follows, first two gleaming cuts of bonito with ginger and radish, and then flounder and mantis shrimp. The latter is adorned with a reduction of ma-anago (sea eel), soy sauce and, at a guess, sugar. The seasonal hot course is a rather unsightly halved round eggplant slathered with dark miso sauce. What it lacks in looks, it makes up for in flavour. The nasu dengaku is hot to the touch, firm and fleshy, while the thick miso is intensely savoury. It is a marriage ordained by the gods and a culinary miracle — the modest, pragmatic eggplant uplifted into something vivid and potent. So remarkable is this that I cast my eye almost indifferently at the subsequent cold course. It is a marked contrast to the prior, a treasure chest of bejewelled hues with fresh shrimp, greens and baby corn served with orange mayo and a dashi base. It looks like the love child of a prawn and fruit cocktail, but is an orchestra of easy flavours and varied textures. There is a subtle shift in mood. Chef Sam dips his fingers into a bowl of water and I sense we are getting down to business. A dizzying procession of sushi follows; snapjack, clam, a sweet shrimp with wasabi that is almost a spiritual experience. I have to pause after the chutoro (fatty tuna) to catch my breath. The rice is superb, packed with a little room to breathe yet holding firmly together. I can feel the individual grains, the warmth of its heat and vinegar bolstering the fish. The sanma (Pacific saury) nigiri sushi has been waiting on my plate while I compose myself, the silver glint of its skin sharp against its opaque body. As I pick it up, the chef toasts a sheet of nori on the grill to pack rice and top with a generous scoop of ikura (salmon roe). 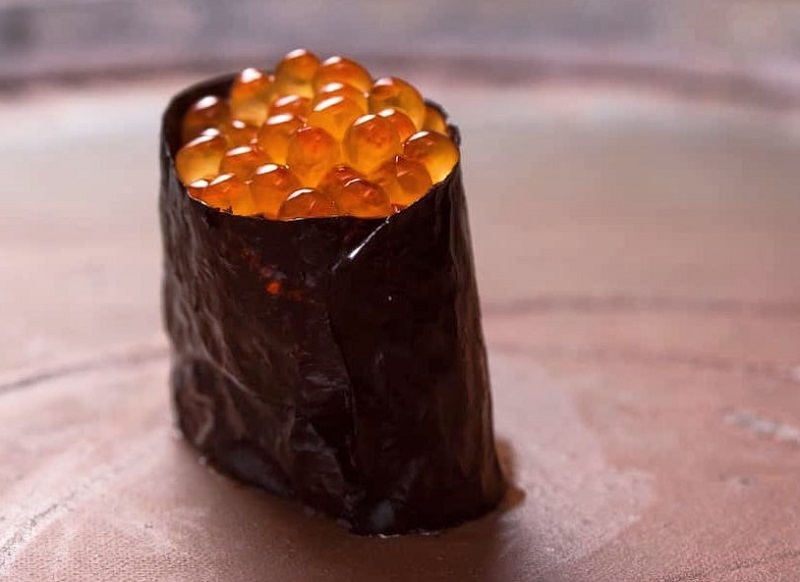 The nori yields with an audible crunch and the big red orbs pop individually where my teeth bite down into bursts of bright flavour. Sea urchin concludes this parade, melting in the mouth like a hazy dream. It is with shame that I admit I cannot remember the roll I am handed after that; I am simply reeling from the entire experience. Sam pulls out a massive block of tamago (sweet omelette), each portion identified by an imprint of the Hibiki logo. He slices two portions and slides them onto my plate, luscious and fluffy. I have a cursory bite of the pumpkin pudding but cannot bring myself to finish the final course — the succession of dainty bites, save the large eggplant, proved extremely substantial. Hibiki means “echo”, or something that resonates. There is a whisky label by the same name for good reason — it is a word that lends itself naturally to products fortified by heritage and ancient traditions, evocative of the past yet strongly relevant today. Everything I had was familiar but fresh and thrilling in execution. Sushi Hibiki, I think, strikes the ideal balance between price and portion for exceptional value. Peers of the Rin dinner set would be the likes of Oribe’s eight-course menu (RM380 with seven pieces of sushi) or its omakase option (RM498) as well as the Shin set at Sushi Hinata (RM450). Hibiki’s omakase is priced at RM720, half of its contemporary at St Regis KL’s Taka by Sushi Saito (RM1,400). This lovely hideaway appears to be a reliable bet if seeking a sophisticated dining experience that doesn’t break the bank. Sushi Hibiki, basement level, Shoppes at Four Seasons Place KL. 03 2391 9008. Tues-Sun, 12.30pm-10pm. This article first appeared on Nov 5, 2018 in The Edge Malaysia.